The Chancellor Philip Hammond presented the last Spring Budget on Wednesday 8 March 2017. In his speech the Chancellor was keen to point out that he wanted the tax system to be fair, particularly in relation to the distinction between employed and self-employed individuals. 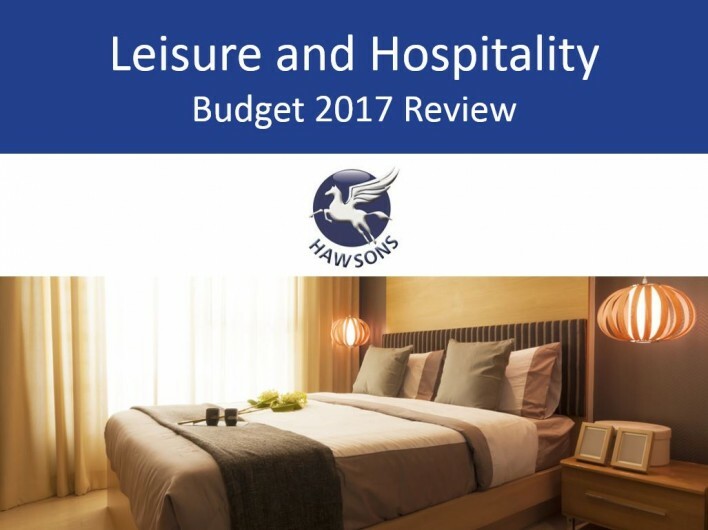 In this article, we look at how the Chancellor’s Spring Budget impacts the leisure and hospitality sector. The biggest headline for the sector without a doubt has to be the rise in businesses rates. Many businesses in the sector are going to hard-hit by the increase, but it seems the Chancellor has responded to the backlash and announced measures for those who are most affected. The delay to the Making Tax Digital (MTD) project until 2019 is also welcome news. Understandably, many small businesses were and still are, quite anxious about the introduction of Making Tax Digital. Local councils will be given £300m funding to help those businesses who are hardest hit by the increase. Therefore, any small business coming out of business rates relief will not pay any more than £600 more in business rates this year, than they did in the previous year. No business losing business rate relief will see their bill increase by more than £50 a month next year. Both beer and cider tax is no longer frozen and will rise alongside inflation which currently stands at 3.9% from 12 March. Therefore, the price of a pint is set to increase by 2p which is the first rise in five years since the abolition of the Beer Duty Escalator.